The CB-1016 Pilaster Corbel is 28-1/8" tall, 8" wide, 6-3/4" deep, and has a White Primer finish. Perfect addition to our fireplace. Didn't have any problems installing it. 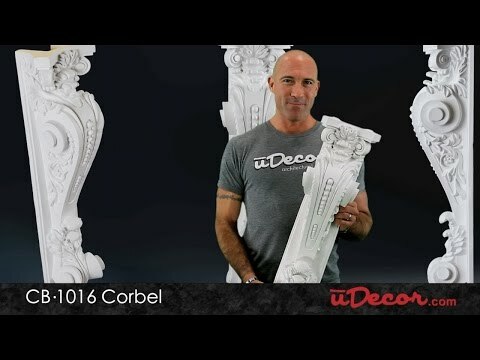 I love my pilaster corbels , they look beautiful and the material is excellent easy to paint and beautiful the way their are already been painted. Thank you.